The Bermuda Arts Centre is inviting the public to the opening of ‘Kitchen Art’ on Sunday, January 15 from 3.30pm to 5.00pm, with the show to run until February 10. A spokesperson said, “Art isn’t just for the living room. More and more people are placing fun and whimsical works in their kitchen. “The Bermuda Arts Centre is holding a fun show that includes paintings, ceramics recycled materials, tech art and interesting pieces of functional art. “For those that are looking for a little fun and perhaps a little more uniqueness, this is a show not to be missed. 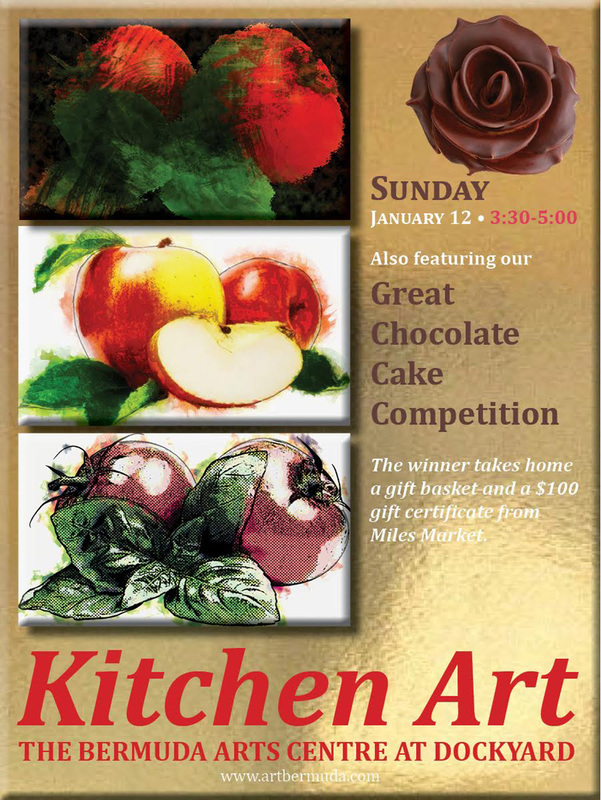 “An extra bit of fun has been added to the show, with our Great Chocolate Cake Competition. The competition is open to all members of BACD. The winner of the competition is awarded with a gift basket and gift certificate from Miles Market. Of course, all those that attend the opening are rewarded with the cake testing. For more information, call 234 2809, email artcentre@logic.bm or visit the website.